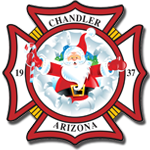 Banner Cardon Children’s Hospital and the Chandler Fire Department are in dire need of Toys for the upcoming Holiday Season. Donating Toys is SUPER EASY and you can donate NOW!! We will purchase and deliver on your behalf to Banner Cardon Children’s Hospital and the Chandler Fire Dept! To donate, just select the amount below you’d like to donate then click on the “Pay Now” button where you’ll be taken to a SECURE PayPal site where you can donate. NO PayPal account is required! Use your major Debit or Credit Card by selecting “Pay with Debit or Credit Card”, or “Log In” and use your PayPal account. PLEASE NOTE: Rockin’ for Kids is a 501(c)(3) nonprofit foundation. 100% of all donations go to buy TOYS on your behalf. We do not use any donated money for event costs or compensation. We are a 100% volunteer organization and all costs and services for operations and promotions are donated from outside companies and private individuals.